Specialty Products Company warrants its products to be free from defects in material and workmanship under normal use as per the following: A limited lifetime warranty applies to parts designated with the price code “A” and “AA”, only to the original consumer purchaser and only on the original vehicle on which it was installed. This limited lifetime warranty is in effect only when the product is installed by a professional technician. A limited lifetime warranty also applies to select hand tools, those identified by price code “B”, and only to the original consumer purchaser. Tools and equipment identified by price code “C” are warranted for a period of one year. Saws, Cutters and Punches are excluded and are warranted for a period of 90 days. 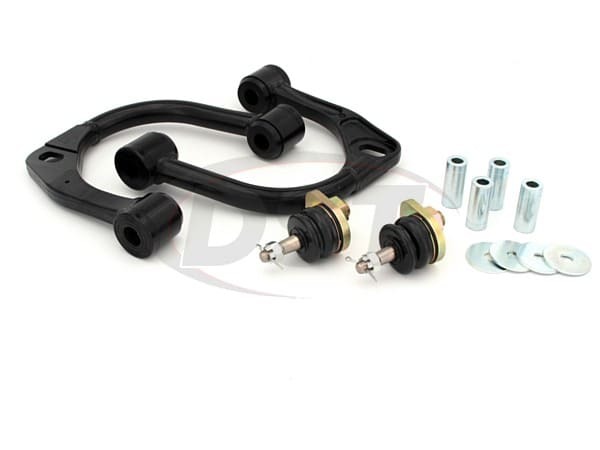 Racing parts, indentified by price code “D” have no warranty stated or implied due to the inability to monitor the part’s modification, installation, and use, except that Specialty Products Company warrants its products to be free from defects in material and workmanship for 90 days after purchase under normal use. Final determination of the suitability of the parts for use contemplated by the buyer is the sole responsibility of the buyer. Any product that has been abused, altered, incorrectly installed or used in competition, racing or off road, is not covered. Product finish is excluded from this warranty as is normal wear and tear. Specialty Products Company shall not be liable for any special, direct, indirect, incidental, or consequential damages that might be claimed as a result of the failure of any part, including, but not limited to claims for delay, loss of profits, use, time or labor. Specialty Products Company shall not be liable for any damage or injury to persons or property resulting from improper installation or misuse of any part subject to this warranty. There are no other warranties expressed or implied extending beyond those set forth above. We reserve the right to make changes in design, materials and specifications without prior notice. For many Toyota Tacoma owners, installing a lift kit is a very stylish option. However, once the kit is installed many of the OE adjustment options become unobtainable. SPC designed their 25470 to be a lightweight and durable kit that also offers extended adjustment ranges even after a lift kit is installed.